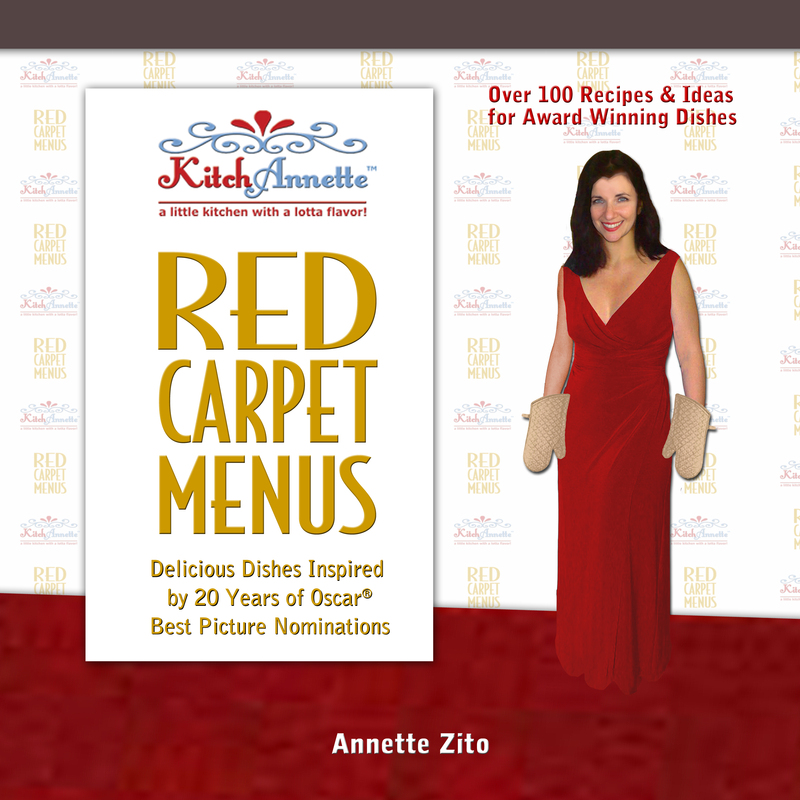 The KitchAnnette 2019 Red Carpet Menu! Oscar® Day! The 2018 Red Carpet Menu! Go Nuts with 3-Times the Flavor! Tri-color Orange Nut Salad! Godmomma Good! Aunt Vee’s Shrimp Salad! A Fête of Feta! Greek Potato Salad! Show Some Pride! Rainbow Fruit Salad! Stay Cool as a Cucumber! Cucumber Salsa with Crab! The 2017 Red Carpet Menu Oscars® ROUND-UP! The 2017 Red Carpet Menu! This Oscar® Week is flying by! We’re ready for a crunchy dish for our 2016 Red Carpet Menu for Oscar®!! Our salad is based on the movie, “SPOTLIGHT”… it’s “SPROUTLIGHT”! Avocado-Oh No! The BEST Salad! Dishes to Devour While You Dash! Create our 2015 Oscars®-Inspired Menu! Pre-Oscar® Celebration Big Success in Tuckahoe! Our 2015 Oscars® Red Carpet Menu has arrived!